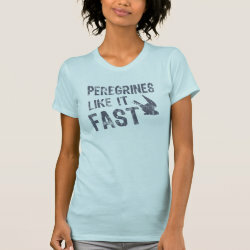 Peregrine Falcons are the fastest animal on earth. 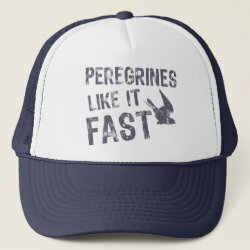 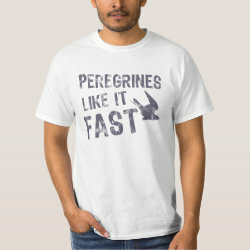 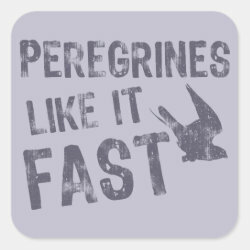 So this original design that reads "Peregrines Like It Fast" isn't so much cheeky as it is ABSOLUTELY TRUE. 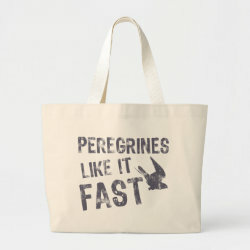 A silhouette of a Peregrine Falcon in a high-speed stoop accompanies the text. 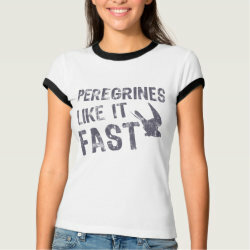 The design is distressed overall for a vintage look.